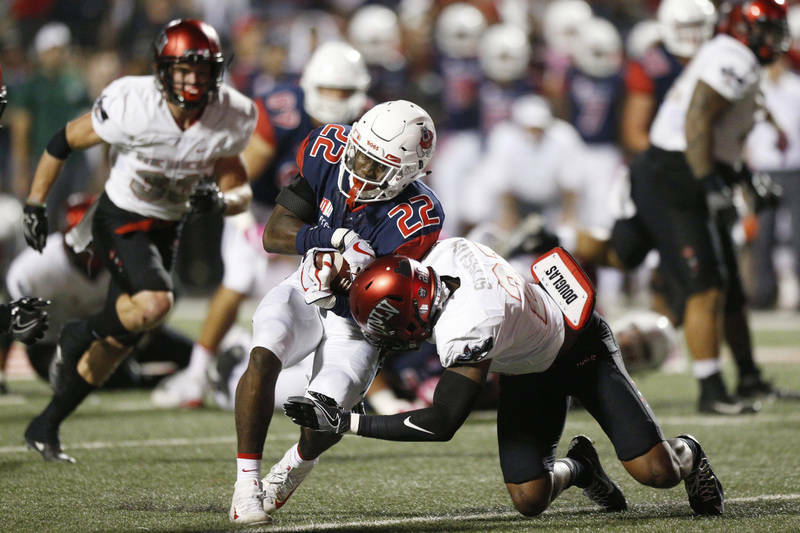 UNLV’s defense had its best game of the season Saturday, holding Fresno State to 292 yards. 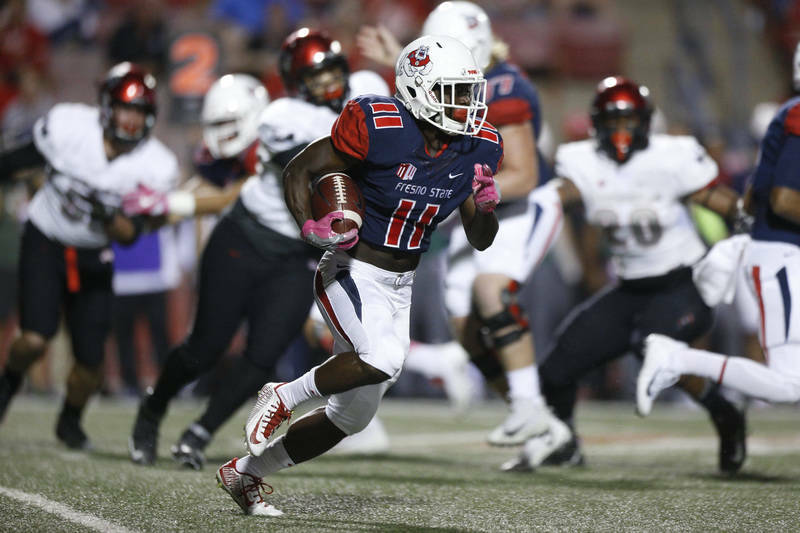 The Rebels hope to build on that performance with Hawaii visiting Sam Boyd Stadium on Saturday. 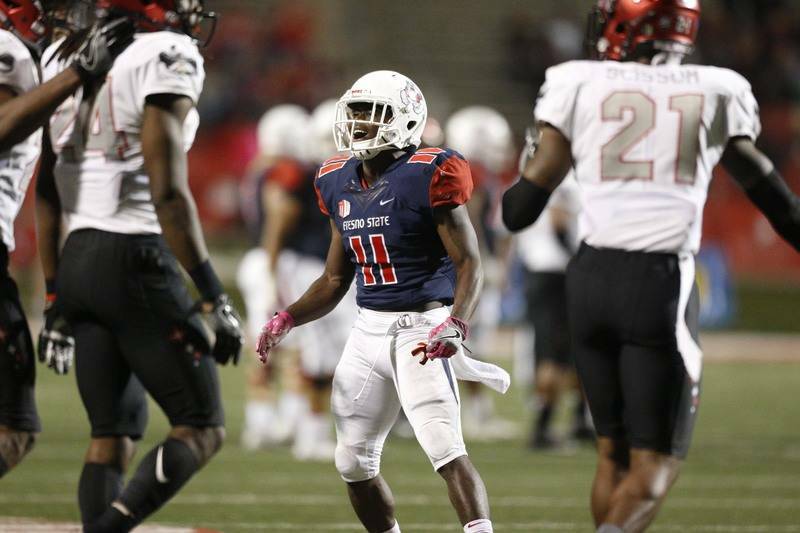 Fresno State’s first drive was so easy Saturday that it looked like another long night for UNLV’s defense. The Bulldogs went 78 yards on 13 plays, taking 5:10 off the clock and picking up five first downs en route to a touchdown. But this wasn’t a typical game for the Rebels’ defense, which held Fresno State to 10 points the rest of the way in a 26-16 UNLV victory. 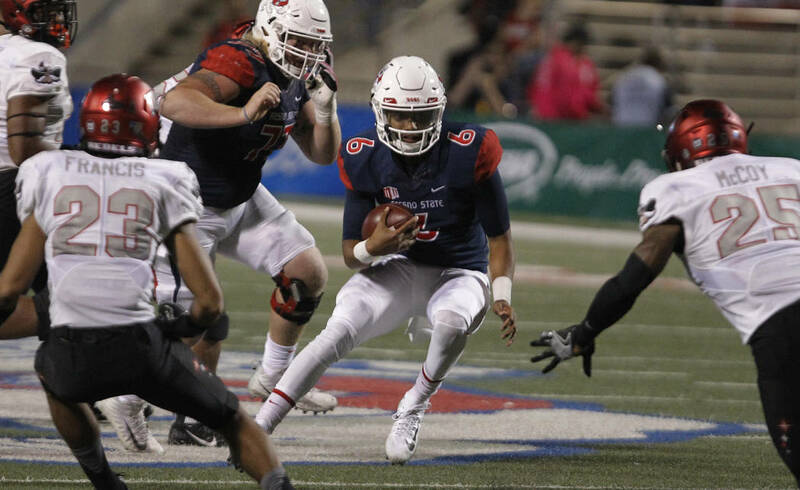 The Bulldogs finished with just 292 yards, the first time UNLV held an opponent to fewer than 300 yards since Jackson State totaled 252 in the 2016 season opener. The question is whether the Rebels can do it again. Their next test is at 3 p.m. Saturday at Sam Boyd Stadium against a Hawaii team that averages 26.1 points and 444.5 yards per game. In the Mountain West alone, half of the 12 teams give up more than 30 points per game and half allow at least a 400-yard average. UNLV allows averages of 33.6 points and 473.2 yards. “It’s a crazy freakin’ league,” Baer said. There have been glimmers of hope for the Rebels, holding Idaho to 16 points and 384 yards and posting a second-half shutout of San Jose State. And lost in a 34-30 defeat to Air Force was that the defense held the Falcons to seven first-half points and forced four turnovers for the game. So there have been moments, just not enough until Saturday, which came after a challenging week of preparation because of injuries. Strongside linebacker Gabe McCoy moved to the weakside, and linebacker Javin White switched to safety. Coaches also got Daniel Godfrey ready at linebacker and Darren Palmer in the secondary, but neither was called upon. Coach Tony Sanchez changed the practice schedule by making Thursday a true walk-through and going faster on Friday. It’s a format he said would continue this week. UNLV’s defense was fresher in the second half, which hadn’t been the trend. 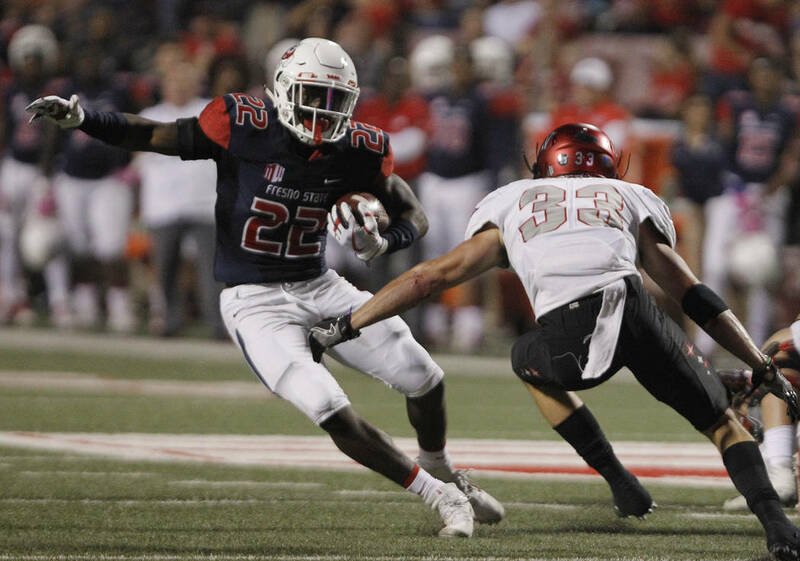 The Rebels had allowed 72 points after intermission in the three previous games combined, but allowed Fresno State only a touchdown in the second half. “The legs felt a lot better,” defensive tackle Mike Hughes Jr. said. Part of being fresher also can be attributed to the offense. UNLV controlled the clock for 34:24 and had three drives last at least 11 plays. The Rebels limited Fresno State to four possessions over the first three quarters. The Bulldogs had the ball four times in the fourth quarter but gained only 45 yards, with one drive ending in a punt and the last three on downs. 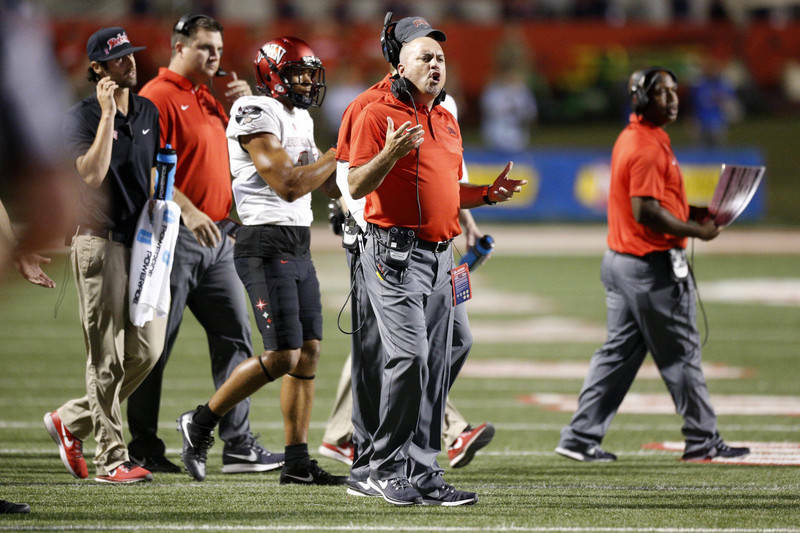 At other points this season, UNLV’s offense didn’t do its defense many favors. For example, at Air Force, the Rebels scored just three points in the second half and failed to take advantage of two fumble recoveries early in the third quarter that probably would have put the game out of reach.